Average 3.4 / 5 out of 8 total votes. There are 2 paths to achieve the peak of power, the Tenth Stage. Gain the recognition of Laws and ascend as a God. Or Cultivate thyself as an Immortal. With his Master unparalleled in Energy Manipulation and Space-Time, watch as Fang Lin achieve both!!! Burdened with a master that can shake cities and crush mountains, Fang Lin travels the realm, cleaning up after his master’s messes!!! 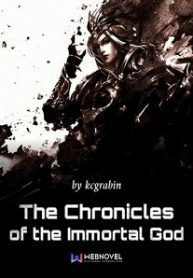 You’re reading Chinese web Novel The Chronicles of the Immortal God on BOXNOVEL. Thanks!